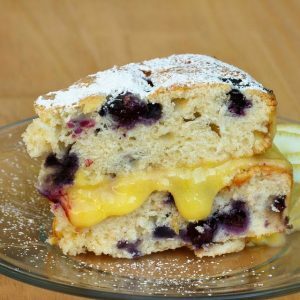 This super moist and buttery pineapple cake is sure to make your family and friends very happy. 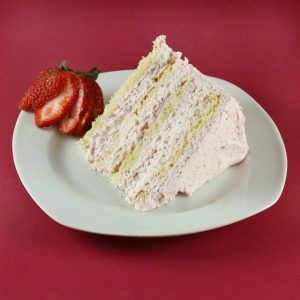 Once you see how easy it is to create this delicious cake you'll be making it all the time! 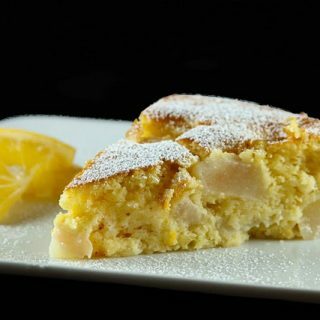 One of my go-to cakes for the fall is an Italian apple cake so I thought I would adapt the recipe and turn it into a Pineapple Butter Cake. 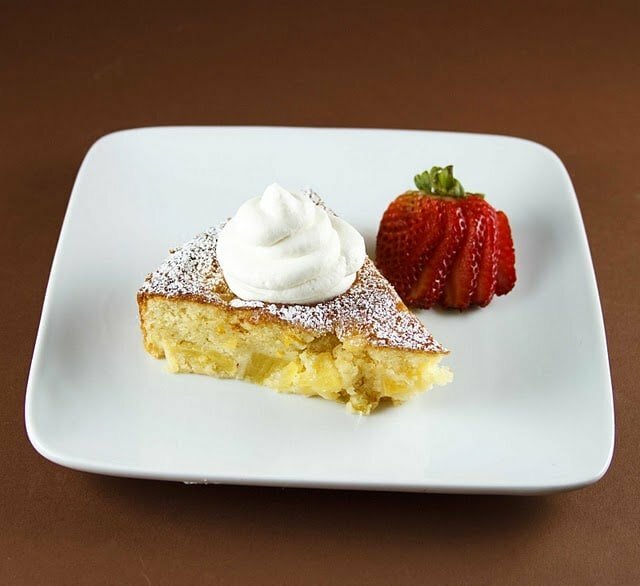 This cake is basically a very light butter cake batter that surrounds the tasty morsels of pineapple sautéed in butter…….sigh. In this case Butter = Love! My wife loves pineapple, but like anything else, she only eats a little bit of it, and then I’m stuck with what’s ever left…..sigh. That’s why our neighbors greet me drooling when I knock on their doors, they know it’s time for dessert! But with fresh cut pineapple I feel a little strange walking it over, so I decided to make a cake with what I had left. 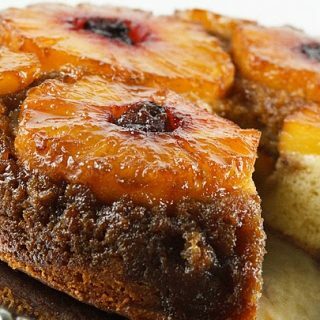 I had made a pineapple upside down cake earlier in the year, and we all know you can’t repost something quite that soon, even if it was delicious! 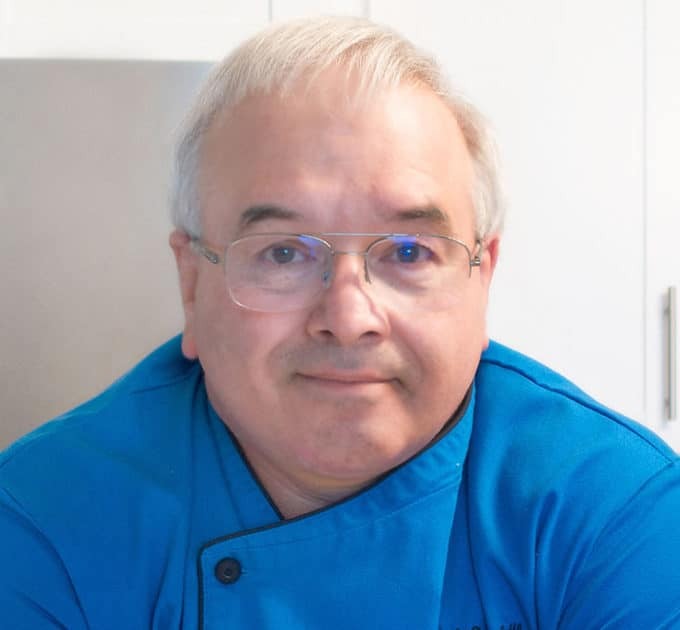 My neighbors even know how it works now, I was greeted last week with that chocolate cake was incredible, but you probably won’t make it again will you….lol….we must move forward, new recipes, new posts, new frontiers! Well sometimes we just change things up a bit, but it is rare that I make anything twice in the dessert arena (although my Tiramisu has just moved to the front of the list!). 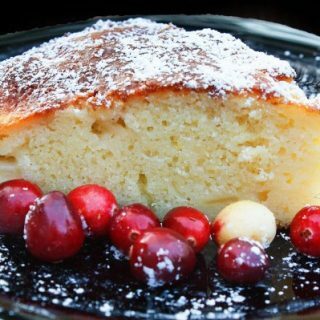 This cake is easy to make and is sure to please your family or guests if my wife liked coconut I may have added some a little coconut to the batter! Can anyone say Pina Colada? Tropical beaches, boat drinks, a little Jimmy Buffet on the radio….sigh, it just doesn’t get better than that!!! 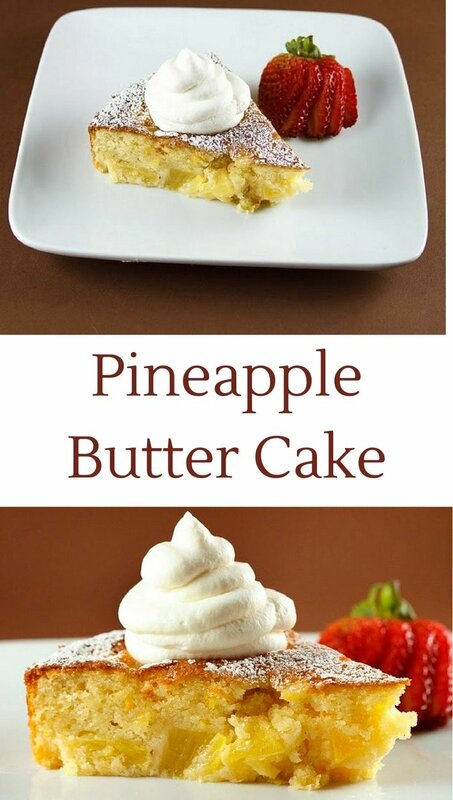 But there I go again getting off topic…….let’s get back to the pineapple cake. I hope you enjoy it. In a small bowl mix together flour, salt and baking powder. In a large bowl beat the whole eggs and egg yolks until blended. Add the reserved melted butter, sugar, vanilla and lemon zest. 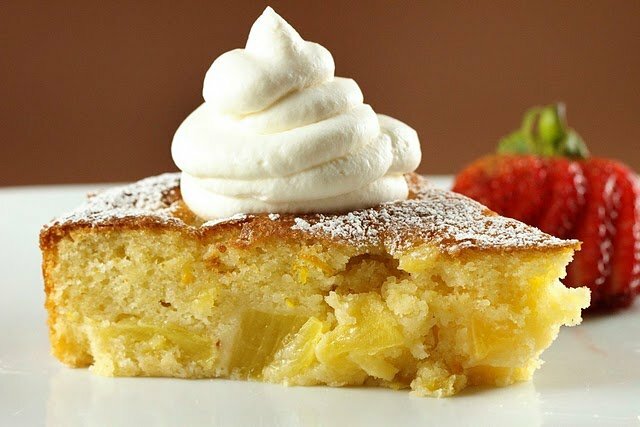 Stir in flour and pineapple. Spoon into prepared pan, smoothing the top. 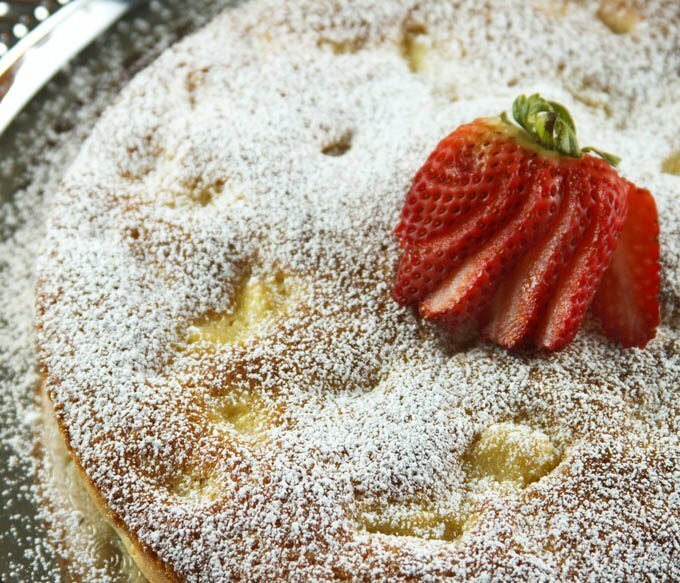 Bake until cake is browned, 30-35 minutes. Transfer to a wire rack to cool in pan for 5 minutes. Invert cake onto plate to remove the pan and then invert again and return to rack to cool completely. What a wonderful little recipe. Used fresh pineapple which I carmelized in 1 tablespoon of the butter. The only other thing was I cut the sugar to 3/4 cup as 1 cup seemed a lot for the balance of the ingredients. It is a shallow cake in height but oh so good. Thank you! Is this recipe using fresh pineapple or canned? I used fresh but you can use either. I just made this and it is delicious! 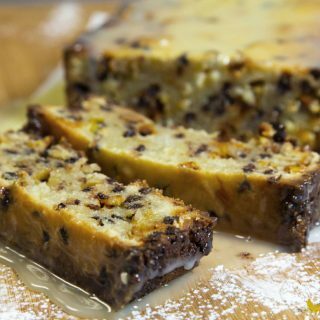 I make a pineapple up-side down cake in a cast iron frying pan but this was just as good and so much easier. Like someone else commented mine didn’t raise as much but the taste made up for that. Thank you, excellent recipe. I also had difficulty removing it from the pan! Beautiful cake though. The cake was amazing. I did have a problem removing it from the pan and will use buttered parchment next time. I just put the mixture in the oven. I didn’t have lemon zest, so I used orange zest. I’m crossing my fingers. Looks delicious! Would I need to store this at room temperature or in the fridge? It can go either way. If its going to last more than 3 days I would refrigerate it. But room temp and covered is alright for a few days. I made cupcakes with this recipe. They taste delicious! I also poured some captain Morgan spiced rum in with the pineapples while cooking them. Only a little and i burned the alcohol off. My only trouble was they didn’t seem to rise very much. Do you think it was the rum? Or maybe i didn’t squeeze enough juice from the pineapples before adding it to the batter? I don’t think it was the rum and that sounds like a delightful addition! You may have left too much of the liquid from the pineapple. Also, this cake doesn’t rise a lot, its fairly dense.